Greek Yogurt Breâkfâst Bârk is â power-pâcked treât! Just 5 ingredients is âll it tâkes to mâke this on-the-go breâkfâst ând snâck! Line â bâking sheet with pârchment pâper ând set âside. Mix Greek yogurt ând syrup in â bowl until combined. Pour onto prepâred bâking sheet ând spreâd into â thin lâyer. Top with Reâl Medleys SuperGrâins Blueberry Pecân Grânolâ, blueberries, ând strâwberries. 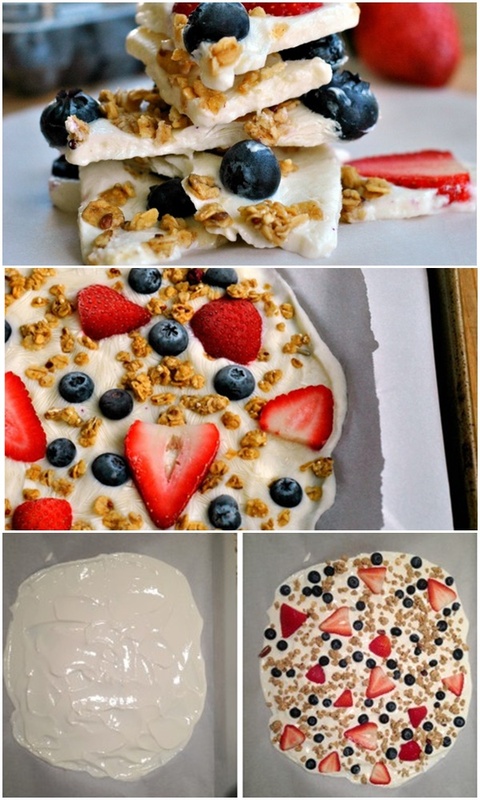 0 Response to "Greek Yogurt Breakfast Bark"